Age spots, discolouration, dark areas, marks from acne, dullness, redness… This innovative anti-dark-spot serum corrects skin pigment disorders without altering the skin's natural tone. The result of a major scientific advance, this pioneering anti-dark spot serum for all women fights pigmentation disorders and restores a luminous complexion without altering the skin tone. 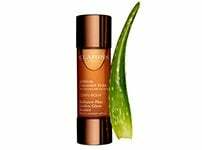 Clarins is the first to discover the role of cell messengers known as exosomes in pigmentation. 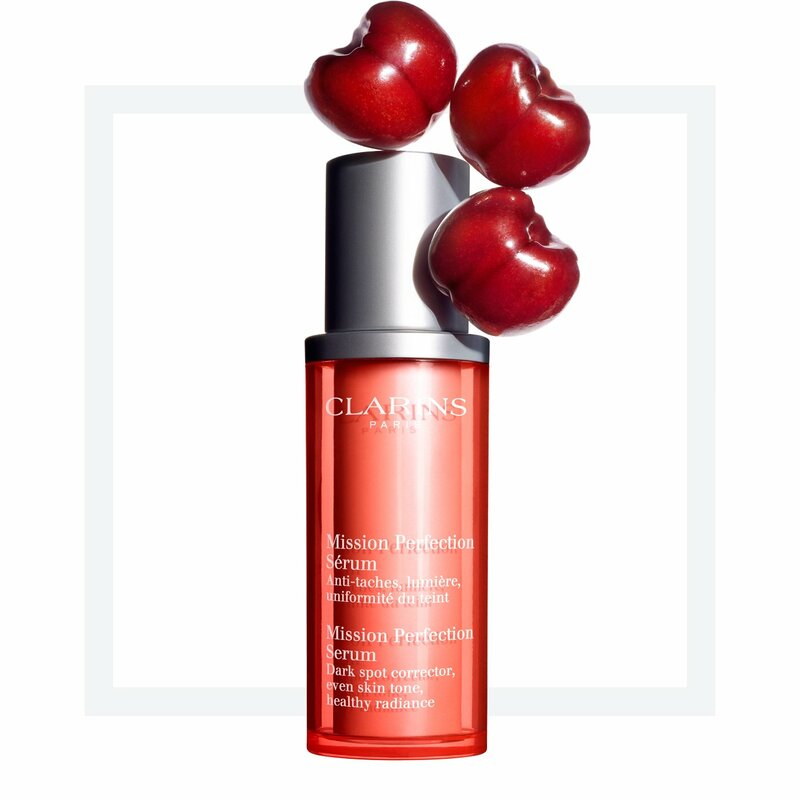 • The innovative anti-dark spot power of acerola extract, a Clarins discovery, combined with that of hexylresorcinol, a leading anti-dark spot molecule. • Exceptional skin-illuminating expertise. Your skin is left perfectly even and radiant. • Reveal the most beautiful skin tone, yours. 80%* of women found their skin tone to be even from the first day of application. 80%** of women found their dark spots to be diminished after 1 month of application. *Multi-ethnic satisfaction test - 362 women (Caucasian, Hispanic and African-American) - 4 weeks. *Multi-ethnic satisfaction test - 266 women (Caucasian, Asian, Hispanic and African-American) - 4 weeks. Rated 5 out of 5 by Julie1985 from First Day of Use I got this as a free sample with my purchase, I thought it may help with the redness I have on my cheeks and nose; much of that from my younger days when I suffered from pretty bad acne. I'm 32 and only just really starting to consider skin care, much because of a fear I have that trying something new will make me break out. 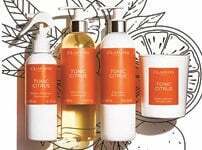 What I really appreciate about Clarins is their products feel and look medicinal, but in a luxurious non clinical way. It makes you feel assured that your skin won't have any adverse effects. Upon first use, I noticed a luminous effect, the redness hadn't necessarily went (and nor would I expect it to after one use), I just looked well rested and refreshed. I will continue to use up the free sample, and if the effects last, I will definitely be buying full size. Rated 5 out of 5 by Caroly from Really good results Been used by for 4 weeks now and am sure my skin looks brighter and age spots around cheek bone areas have reduced. Not keen on the pump dispenser - as you can’t tell what’s left inside! I like to see what’s in there so you can use every last drop (as it’s expensive so hate to think any is getting wasted! Rated 5 out of 5 by startarr from This is lovely I've been using this for about 3 weeks now and I'm sold! It's a lovely product, goes into the skin really nicely and leaves it soft and smooth. 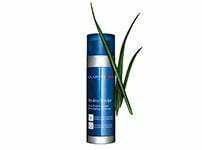 I suffer from sensitive skin and a red complexion and this has definitely helped calm and even it. Age spots aren't too much of a problem for me yet so I'm not sure how effective it is at combatting those but, in general skin care terms, it's highly recommended. Rated 2 out of 5 by fhanif from Did not work for me I was recommended this product by Clarin's staff at a stall in John Lewis. I have dark spots on my forehead and cheeks. I have used this consistently for weeks twice a day but it did not make any difference. The serum does seem to make the overall skin appear smooth but as I wanted it specifically for dark spots, I am disappointed. Rated 5 out of 5 by MaryD from Great Product I was introduced to serums several years ago .They are very good .However this one is the best .When I was younger there were no SP creams ,so I have got some sun damage to my face ,Despite me not being a sun worshipper ever .Lots of people think my skin is very good for my age ,and I look much younger . [very few lines or wrinkles as yet ] this serum noticably has noticible improved the colour of my skin .So win -win . 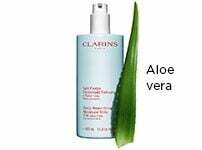 Rated 4 out of 5 by Fitnut from Early Days I've been a Clarins user for 30years. Been using this lovely light serum for 3 weeks. My skin feels good but not improved radiance or reduced dark spots yet. Will continue for another month and see. Rated 4 out of 5 by jackstar from lovely product I have only just started to use this product but so far so good. Love the smell and its not greasy on my skin. I am 69 and have brown spots on my face so I look forward to seeing an improvement. Rated 4 out of 5 by Shimmeringpearl from Dark Spot Correction I just turned 55 with pale wrinkle-free skin. My face is ruined by brown spots may be due to relentless sun-bathing in my younger days. After reading all the reviews I have high hopes on this serum. My first bottle is now nearly finished & I don't notice any big difference. Brown spots are still very visible. However the smell and texture are lovely so I'll continue using this serum and keep my hopes up.